Original art-paper wrappers with two-tone plate on-lay, three tipped-in colour plates (one by Leonid Pasternak)., pp 1221-1254. 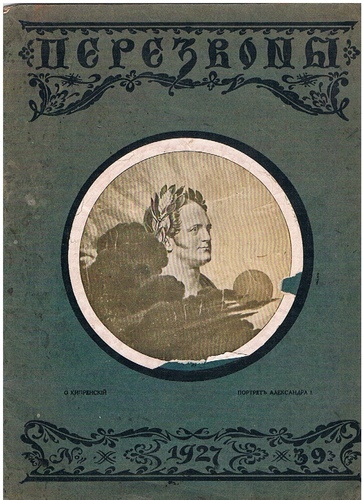 Illustration to upper cover chipped, light thumbing and wear, ink blot inside. No tears, text clean and no loss. 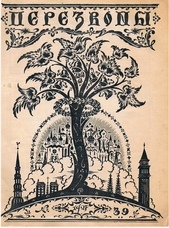 Elaborate title page design by Mstislav Dobuzhinsky. 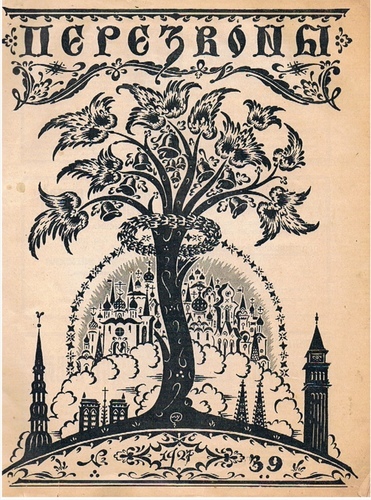 ; Perezvony or 'The Chimes', a Émigré and Russian literary-artistic magazine. 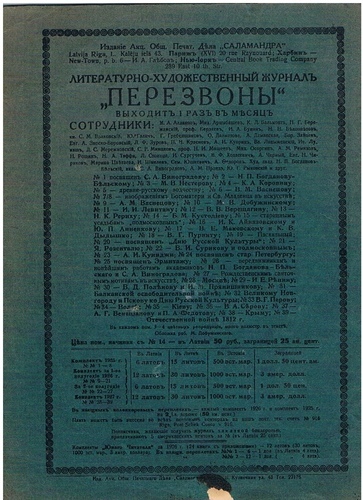 The editorial board included: Ivan Bunin, Kuprin, Marina Tsvetaeva, Teffi, Konstantin Balmont, A Remizov et al Owned by Nikolay Belotsvetov of the Salamander Insurance Co. Distributed in Riga, Paris, New York and Harbin.